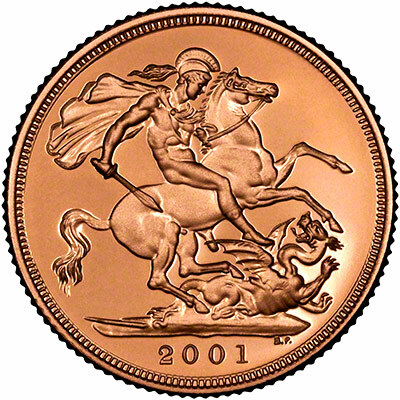 Year 2001 gold sovereigns have been produced by the mint in two versions, ordinary uncirculated "bullion" grade, and "proofs" for sale to collectors. 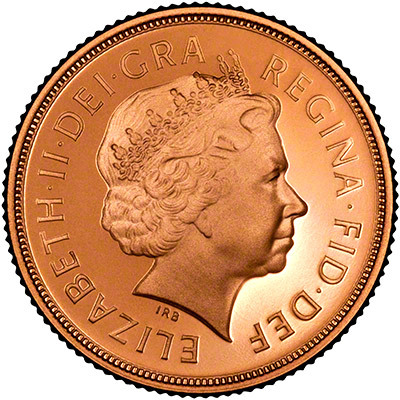 This will be only the second time since 1982 that ordinary bullion sovereigns have been produced. 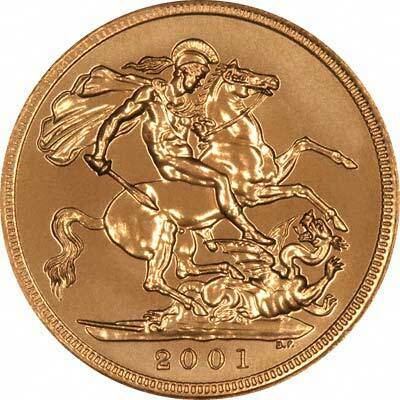 The 2000 millennium year sovereigns were very popular, and we believe the Royal Mint will continue to issue bullion sovereigns for a number of years. 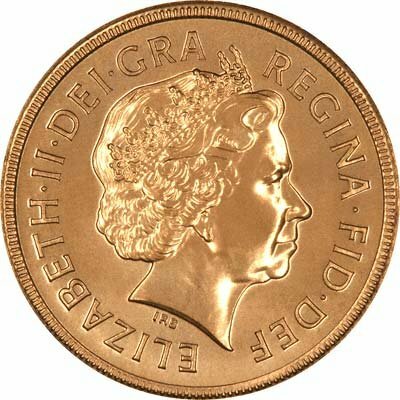 We have official confirmation that the issue limit will be 100,000 pieces, year 2000 at 250,000 was the lowest, apart from proof versions, for over 100 years. 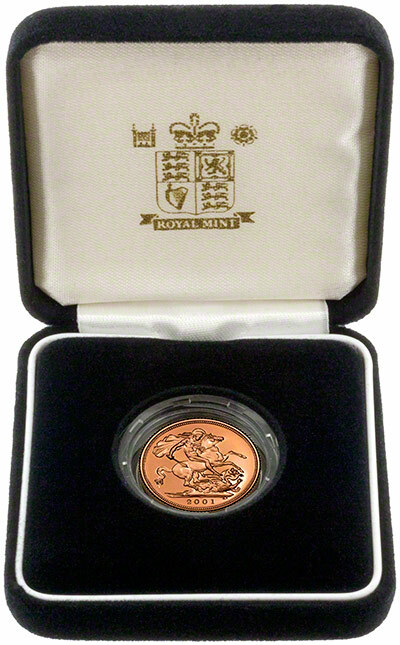 2001 half sovereigns also available.